NEWS! Menu Change at Siestas Cantina! Now Serving Breakfast! | It's "All in WDW"
NEWS! Menu Change at Siestas Cantina! Now Serving Breakfast! Hey, Coronado fans! How’d you like to have breakfast by the pool? Yes. 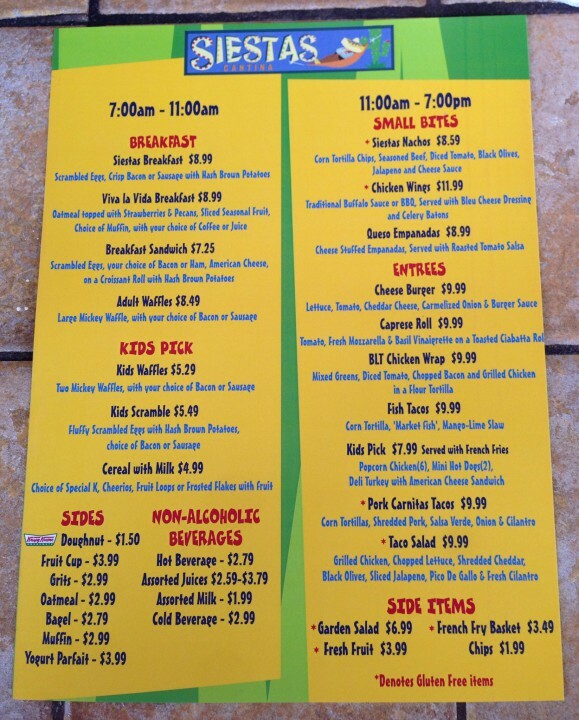 Siestas Cantina has changed their menu, and breakfast is available starting at 7 AM! Anyone who has ever stayed in Coronado’s Ranchos section will know just how big this is. No more long walks to El Centro to get your eggs and coffee! Way to go, Siestas! ← May the Force be with me! Breakfast by the pool sounds amazing!